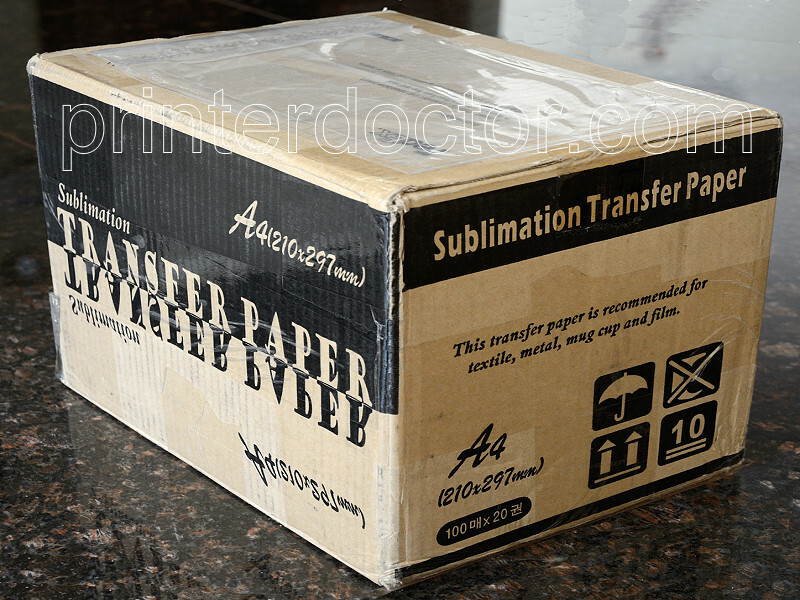 100 page packs Sublimation transfer Paper made in South Korea Size: Letter (8.5 inches X 11 inches) Suitable Media: white or light color Polyester fabrics (at least 50% polyester), polymer-coated hard substrate ceramics, metals, woods, mouse pads, cell phone cases. High transfer rate with vivid colors Compatible with dye sublimation ink printed by printers with Epson Piezo Print head Please Note: Only work with Sublimation ink, doesnï¿½t work with iron and it doesnï¿½t work on 100% cotton t-shirt, for best result should be 100% polyester Please click for a Sublimation ink compatible with this paper Transfer information is different in all cases, depends of weather conditions, machine, etc, this information is just general. 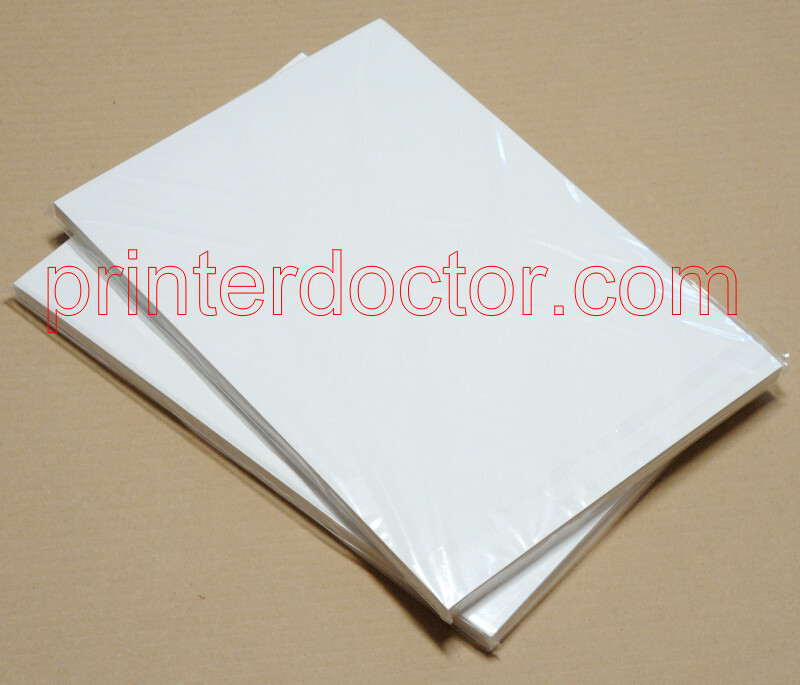 * Our standard testing condition is 210℃, 45~60 seconds , 100gsm(N) paper, Polyester 100% fabric 140~180℃, 3 minutes, 100gsm(N) paper, Mugs (over 70% polyester coated) Special coating provides brilliant transferred optical density on the fabrics/substrates. Unique anti-curl back coating for lay-flat property. Unique coating ensures true colors, no bleeding and sharp images on final substrates. Minimum ink-bleed on base paper to give high color intensity on transfer. Short drying time to achieve high transfer rate. Compatible with most dye-sub inks. Shopping cart pops up in a new window or tab; please disable pop up blocker, if you can't see shopping cart.